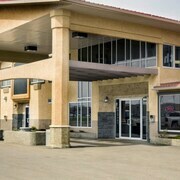 Situated in Westlock, this hotel is within 1 mi (2 km) of Mountie Park and Canadian Tractor Museum. Westlock Golf Club is 5.1 mi (8.2 km) away. Situated in Westlock, this motel is within a 15-minute walk of Mountie Park and Canadian Tractor Museum. Westlock Golf Club is 4.2 mi (6.7 km) away. It was gorgeous, large rooms, a great breakfast, and nice pool. We had a wonderful location overlooking the pool area. Where to find Westlock hotels near an airport? Where can I find hotels in Westlock that are near tourist attractions? If you choose to stay close to the center of Westlock, there are a number of accommodations. About 2 hotels and apartments can be found within a 0.1-kilometre (0.06-mile) radius of Westlock's center. The Best Western Westlock, is an ever-popular option for travelers due to the fact that it's it's the most centrally situated accommodation option in Westlock. 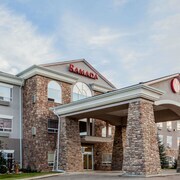 The Ramada Westlock is located 1 kilometre (1 mile) from the heart of Westlock. 0.3 kilometres (0.2 miles) away is the Best Western Westlock which is an alternative. After seeing Westlock, why not take the time to explore the other attractions in the Central Alberta area. Spend time at Central Alberta's old towns, archeological sites and nature museums or photograph the region's forests and rivers. Fun-loving visitors may also try snowboarding in this part of Canada. 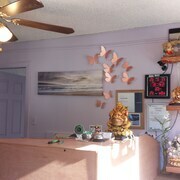 Looking for more to do? Spend a few hours visiting West Edmonton Mall and Snow Valley Ski Club, which you'll find in Edmonton, 70 kilometres (45 miles) to the south of Westlock. If you'd like to spend a few nights in Edmonton, check Expedia's booking pages for the latest deals at the The Fairmont Hotel Macdonald and Union Bank Inn. 70 kilometres (45 miles) to the south of Westlock, is Downtown Edmonton, home to the Campus Tower Suite Hotel and Metterra Hotel on Whyte. If you're staying in Downtown Edmonton, set aside some time to check out the Crypt Lake Trail and The Mill Creek Monster. Before you leave Central Alberta, make sure you experience some sport. Visit Rexall Place to the south of Westlock. If you are keen on booking accommodation close by, make a reservation in the Holiday Inn Express Edmonton Downtown or Holiday Inn Express Hotel & Suites Edmonton North. Edmonton International Airport is a logical airport for flying into Westlock. It is 95 kilometres (59 miles) away. 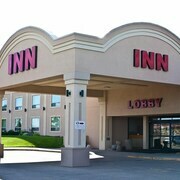 If you choose to stay nearby, try the Best Western Plus Denham Inn & Suites or Ramada Edmonton International Airport. Are there hotels in other cities near Westlock? What other types of accommodations are available in Westlock? Explore Westlock with Expedia.ca’s Travel Guides to find the best flights, cars, holiday packages and more!